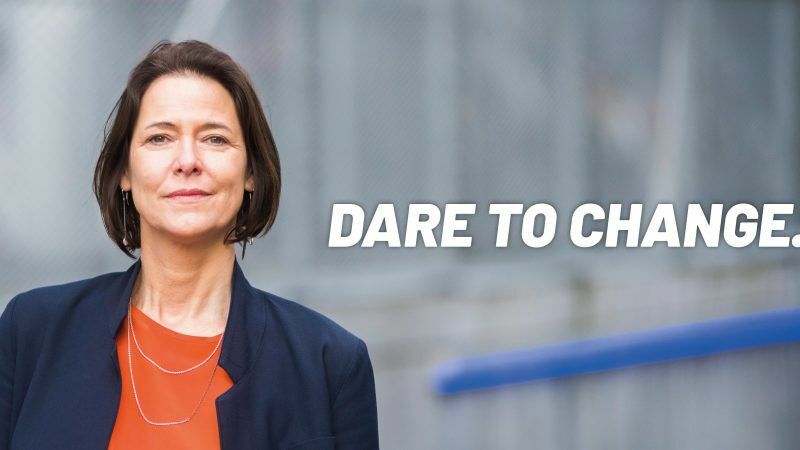 With the slogan “Dare to change”, Belgian MEP Kathleen Van Brempt has submitted her candidacy to lead the group of Socialists and Democrats in the European Parliament, a year before the EU elections. Her move surprised many who thought the only candidate would be German MEP Udo Bullmann. 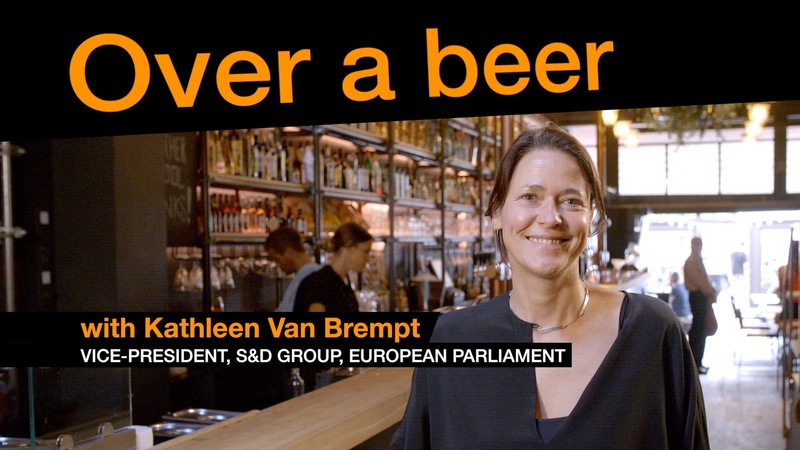 Kathleen Van Brempt is a Belgian MEP and vice-chair of the S&D group. She is running to lead the group in the European Parliament after the departure of Gianni Pittella. The secret ballot is scheduled for the 20th of March. Van Brempt spoke to EURACTIV’s editor-in-chief Daniela Vincenti. Gianni Pittella, the S&D chair, has formally resigned after the Italian elections. You have decided to run for S&D group chair and challenge Udo Bullmann: what made you decide to take on this challenge? I think a lot of people were surprised because Udo and I were quite a good team in the bureau and in the group, and I think we still will be after the election. I’m not standing against anybody, I’m not standing against the German candidate. I stand because I am ready for it and that is very important for a top job, as you have to be ready for. I have had a very diverse political life, the main red line in my political commitment is without a doubt Europe. I’ve been national minister, I’ve been regional minister, and I’ve also always been a local councilor in the city of Antwerp, so I like the diversity of pooling experience together so I feel ready to take on a very important European task, and I think one of the most important is leading this political group that I love so much. I am a politician and I want to change politics, which is why my slogan is: “Dare to change”. The S&D has been severely beaten in recent national elections – the last in Italy. It’s a huge challenge to reform social democracy across Europe. Reform is a word we have heard a lot about in the socialist family, but how to reform exactly? Let me first just reframe what you’re saying because it’s not just social democracy that is facing difficult times in some of the Member States, it is the entire mainstream political establishment that is being challenged, and has been in crisis. In France the centre-right party of Nicolas Sarkozy and Francois Fillon have been beaten as well. In Italy we didn’t do well as social-democrats but we did far better than Berlusconi. It’s been pulled to the populist and extreme-right and extreme-left groups and that is a challenge for social democracy because we are and will always be a political movement that wants to change society and we want to change governments and be in governments, in order not to stay off the side and just talk about our ideas without actions, that’s not who we are. But how do you regain trust? It’s not as we have been completely defeated in all the member states. Take Antonio Costa, prime minister of Portugal, who is in Parliament to discuss the future of Europe. He’s one of the leading social democratic figures, he changed politics and he changed Portugal. I witnessed that myself, when I visited the country three months ago. You feel the self-confidence of the people. Only a few years ago you still felt the despair. Therefore, we need to be self-confident again, we need to regain this confidence. We can’t just say that we’ve been defeated and not do anything, the reality is much more nuanced and to win again you need to be liked, you need to build trust and you need to be confident. That’s what I want to give the group, as that is who I am, I’ve faced big victories and defeats in my political life, we all have, that’s what it’s all about. But if you stand proud of who you are that’s the starting point for change. But how do you revive social democracy? Well, first of all by going back to what we believe and create a new narrative, I did that together with Udo already, we are working on a new narrative for social democracy. iI’s called “progressive society” and it’s about combining environmental climate issues with our social issues. One of the things I learned is that we are a big group: we unite different member states from the east, the west, the north and the south. That is a strength, but it means that we also need answers for these member states. An example of that is to be able to prepare for the future. We need ambitious climate measures, like stepping out of coal in Europe. If I say that to my Romanian or Polish colleagues, they will think about the hundreds of thousands of people working in that industry in Europe. Social democracy can give the right answer by putting forward a proposal for a transition, not only on energy, but also on other sectors, working together with the people in all the member states. here is a liberal way to combat climate change but there is also a very social-democratic way, let’s start believing in that. Still social democracy has deceived many. Is it time to do a mea culpa? Oh yes! What we essentially did wrong is: after the financial crisis we social democrats have been part of many governments, which did not give the right answers. We saved the banks and then we went to member states and told them they had a budgetary problem, mainly in the South of Europe. Then we created these budgetary rules, such as the two-pack the six-pack, which were very complicated. It was a huge mistake because at that time we made it seem like only budgets were important and we gave the message that we were ready to destroy for budgetary reasons parts of our social systems in some member states. Social welfare is a basic value in Europe, not only a social democratic value. There is no other place in the world with the social welfare system we have. Every member state has a social security system. If you look at the US and look at the problems they have in trying to impose a healthcare system, in Europe it is natural, it is a basic value. We as social democrats didn’t prevent Europe and the Commission from carrying out their actions on budgetary rules. We made mistakes. Don’t get me wrong we need good agreements on budgets and economic governance in Europe, but never at the expense of our social system, and so we made a huge mistake. Do you think the “Macronisation” of politics is bad for Europe? I don’t believe in the “Macronisation” of social democracy in any case. We need to reframe our values, but we need to stick to the original values. Macron is a pro-European so you have to work with him, but he is absolutely not a social democrat. So we should not contemplate a “macronisation” of our group, and regain trust in our values and our ideology. I think that is what is crucial, going back to the source but reframe and rethink it in modern terms that’s is why we are talking about “progressive society”, that is why we loop the sustainability issues all together. Because a social democracy that is not tackling climate change in a way that everybody is proud and nobody is left behind, then it is not being dealt with in a proper way. Our values are still the same: making sure everybody is on board. We’re heading towards the European elections, how do you think the group should prepare for that? We still have some important files to discuss such as the European budget, migration and asylum, and that is very crucial. The Italian elections outcome was also produced by the fact that we left the Italians on their own to deal with the migration problem, which should have been dealt with at European level. The mobility package and issues on trade, we still have to define what we want to achieve on such files, but either we achieve them on the basis of progressive majorities in parliament, or we run the risk of making other mistakes. As vice-president, I was responsible for the energy package. We achieved good results there so that every member of the socialist group can go home and say “on the energy files we achieved this, this and this”. That needs to be done also, for instance on the Multiannual Financial Framework, the budget, if we cannot then we will call it a day. We should not make a blurry compromise with the EPP to get the MFF. How do you build a winning electoral campaign so that you actually push more citizens to go and vote? Well, we certainly shouldn’t act as we have the last few weeks. The Selmayr case is very problematic I have to say, you cannot win a lot of votes by being trustworthy, transparent, and accountable but you lose a lot if you are not. Juncker made a big mistake, we will wait for the budgetary control’s answers, but from an ethical point of view he made a huge mistake and he needs to deal with it. Two weeks ago I went out to speak with students, and the first question they raised was “How can we trust you and Europe, if Juncker just appoints his chief of cabinet as secretary-general?” and you feel that it is a very important issue in building trust. I’m not so afraid of the turnout in the sense that Europe has been high on the political agenda in almost every member state, not always in the best circumstances or with the best files, but at least we are debating and discussing Europe. Although everybody says that people distrust Europe or that they are not interested in it, what I see is that at the end if you talk to people they want us to have solutions from a European point of view. On the asylum and migration issue, we can solve that problem, we’ve had very good proposals in the European Parliament let’s force the Council to come up with a solution..
Do you think it’s time for a woman to lead the S&D? All big political groups have been led by men in many years. Are Greens and GUE/NGL doing better on gender equality …? There was Pauline Green 20 years ago … Well people often say “It’s time to have a woman,” you hear that a lot, and then they say “yes but do we have competent women?”. I invite everyone in the group to take a look at my CV to see what I have done in the Parliament, to see what I have done as a Minister and make their decision. But let me stress that a chair can only make good music if she or he has a group and that is how I look at leadership. I think it’s time to change, we need a leadership that is open, that is communicative, but especially in our group we need a leader that is building bridges and that is the sort of leader I’ve always been as a Vice-president, as a Minister. I will never attack other people from other political groups, I will never attack on a personal level, I will never play the man or the woman, I will always value ideas and the basic values. That’s the way to play a symphony rather than a cacophony? Ooh that was a good one.